Soon after the birth of the Royal Canadian Electrical and Mechanical Engineering (RCEME) in May 1944, a school was formed to train members of the corps. It was established at Barriefield, Kingston in 1946 and remained there until June 1970. In February 1969 during the early integration period it was amalgamated with the Royal Canadian Signal Corp. School and was known as Canadian Forces School of Communications. And Land Ordnance Engineering. On 1 June 1970, the School moved to CFB Borden and joined the CF Aircraft Trade School to become the Canadian Forces School of Aerospace and Ordnance Engineering. On the 30 August 1985 ceremonies marking the split of CFSAOE into three separate and distinct schools were conducted in Hangar 17. The three new schools were Canadian Forces School of Electrical and Mechanical Engineering (CFSEME), Canadian Forces School of Aerospace Technology and Engineering (CFSATE), and the Canadian Forces Fire Academy (CFFA). Consistent with the new EME cap badge change on May 15, 1991, a new CFSEME crest was approved to reflect that CFSEME is not only the home of the EME Branch but also a training centre for ammunition technicians and EOD specialists. CFSEME has a permanent staff of 218, accommodates over 400 students at any one time, and graduates about 1600 students annually. The Materials Technician trade is the most recent trade to join the EME Branch. The skills performed by the tradesmen have existed for a long time, one could say, long before the formation of RCEME itself. From ancient times, ancestors of the Materials Technician such as blacksmiths, saddlers, fitters, wheelers, tent menders and others have been needed to support armies. The materials support trades have been subjected to many name changes as they evolved. The Material Technician trade traces its heritage back to our earlier RCEME and Royal Canadian Ordnance Corps. wheelwrights, bodymen/painters. Tinsmiths, blacksmiths, welders, machinists, leather and textile workers and Royal Canadian Engineers carpenters. During the early days of RCEME, these trades existed to perform a specific function or skill, some of which were duplicated in other trades such as armourer and vehicle mechanic. With the integration of the Armed Forces in 1968, the Army materials support trades were disbanded and their duties taken over by the Air Force workshop trades (Metals Technician, Machinist and Refinisher Technician). These Air Force trades, as well as the LORE trades at that time, did not fully meet the material support needs of the Land environment. This was confirmed by an occupational analysis on the Air workshop trades in June 1982 and on the LORE trades in July 1983. On 1 January 1985, numerous material support functions (machining, welding, auto body repair and paint, textiles, sheet metal and rough carpentry, to mention a few) were amalgamated to form the Materials technician trade as we know it today. The evolution and implementation of the trade is comparable to the formation of RCEME itself, which in 1944, was seeking a separate identity, and its appropriate place in the Army system. Similarly, Materials Technicians have now found an equal place and a sense of belonging within the EME Branch. The Materials Technician trade has proven its ability by successfully meeting the may demands it has faced since its implementation. All members of the trade are more than ready for the challenges of the future to add to the proud EME heritage. The Material Technician trade of the Electrical and Mechanical Engineering Branch has paid tribute to an individual of outstanding devotion and dedication to their art. Corporal William Oliver Pearson, BC(NL), was honoured by the craftsmen at the Canadian Forces School of Electrical and Mechanical Engineering at CFB Borden on November 25, 1994 when the new welding training facility was opened bearing his name. 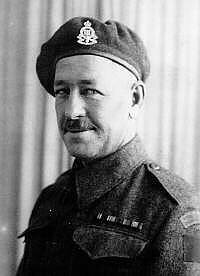 Corporal Pearson, who lived from 1898 till 1962, served in both World Wars. On April 26, 1918, he enlisted in the Canadian Army in Regina as a member of the Royal Canadian Mounted Police draft. During the inter-war years he worked as a welder. Early in World War II , he re-enlisted in the Canadian Army and . because of his talents, soon became a member of the 75th Light Aid Detachment, RCEME. While his unit was attached to the 21st Canadian Armoured Regiment, he served with it from it’s landing on the beaches of Normandy through the battles in France, Belgium, Holland and Germany. Throughout this period, Pearson distinguished himself, traveling at times just to the rear of fighting tanks, doing welding repairs in the field when it was absolutely essential that every vehicle, tank and gun be kept in action. Pearson was awarded the Bronze Cross (The Netherlands) for his actions during an incident in Holland on October 25, 1944. In battle near Wouwsche Plantage, the Regiment’s command tank required immediate welding to stay in the fight. It was vitally important to the Regiments’s success that this tank remain in action. With accurate enemy fire raining down, and in total disregard for his personal safety, Pearson drove his soft skinned truck forward to the command tank and, in under two hours, got the job done. When the Regiment moved forward, the command tank moved with it, continuing to direct the Regiment in the push toward Bergen Op Zoom in the Battle of the Scheldt. His work, whether under fire or in the workshop, was always of the highest calibre. His calm, cool efficient manner was a source of inspiration to the others in the Regiment. "We were really honoured, flabbergasted actually, when we were approached with the idea of using Dad’s name," says Mrs. Alice Cull, Pearson’s Daughter. "Dad was an ordinary man and a good father who never talked much about the war. He would probably just humbly smile in his modesty if he knew of this. He just did his job, never expecting any special treatment." For the students and staff of the Mat Tech platoon at CFSEME, the new facility is second to none. "It gives us a sense of history in the EME Branch," said Corporal Klaus Knouer, and instructor with the Mat Tech platoon. "The safety equipment and the building’s design are the best I’ve seen. We now have the resources and the space to conduct up to three courses comfortably at the same time, during normal hours. We no longer have to train at night to meet the training demands." The RCMP also receive training at the Pearson facility. Up to 10 maintenance constables per year get a six-week mini Mat Tech course to prepare them to work in the RCMP’s maintenance cells, said Knauer. As a matter of fact, at the opening ceremony a constable in full scarlets was presents and the ribbon was suspended between two RCMP lances. After World War II, Pearson carried on his welding trade in Vancouver. He passed away of a heart attack at the age of 64-on the job with a torch in his hand. Lt(N)Doug Maybee is the public affairs officer for the Canadian Forces Training System, based in Trenton. Today we honour him in return by dedicating this new training facility in his name. By doing so, we will immortalize his accomplishment so it will always be remembered and so his story can inspire the future generations of Army technicians.